Home / Extra-Curricular / Introducing the Kiddie Party Menu…. We are pretty kiddie friendly at Persepolis. This is because we are for the most part big kids ourselves. 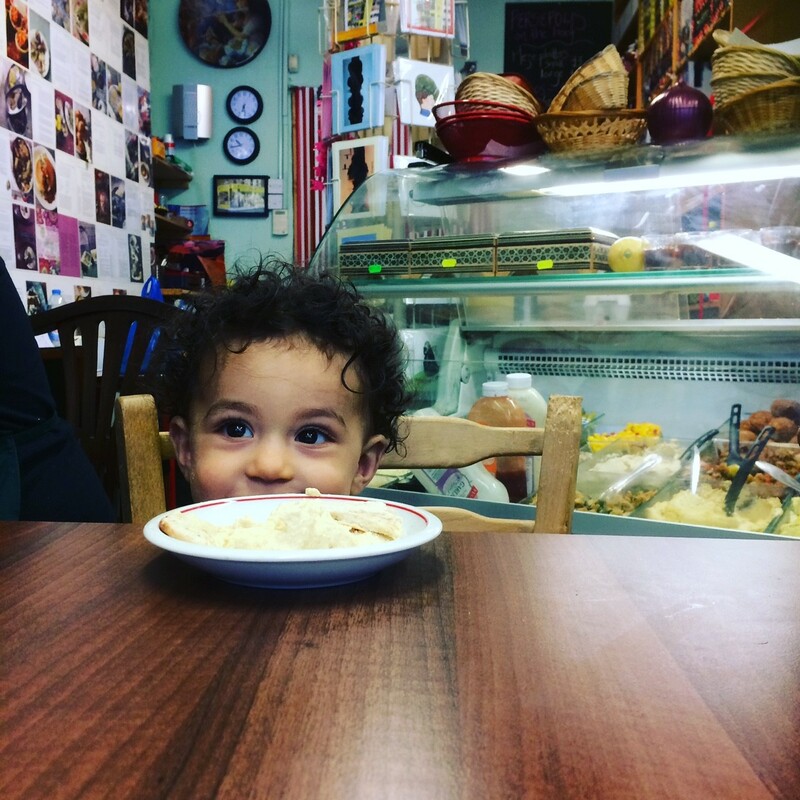 And we have quite a lot of little things in the extended family – like the houmous kid in the photo (cute, isn’t he?). We already have a section for smalls on the menu featuring kiddie platters, the Lewis special (which if we’re honest is a glorified cheese toastie) and mini ice cream sundaes. But now by popular request we are actually offering to host your progeny for their birthday parties. Let’s face it – some kids are always going to be BK buffs or McD addicts, and the idea of coming to an off-the-wall veggie cafe is simply not going to ring their bells or look good on their Snapchat profiles. But for the more sophisticated 5-15 year old, our sharing menu with silly goody bag may well be just the ticket. For £12 a head we provide meze platters, pan fried halloumi, lush dessert platters and a drink each. Your sprog and its friends also get to take home a mini Persepolitan gift pack. This special kiddie feast can be booked any day of the week between 3 – 6pm, but we would ask that you whisk your small folk off by 6.30 latest so we can get ready for evening service. Give us a call on 020 7639 8007 to discuss your junior party requirements.